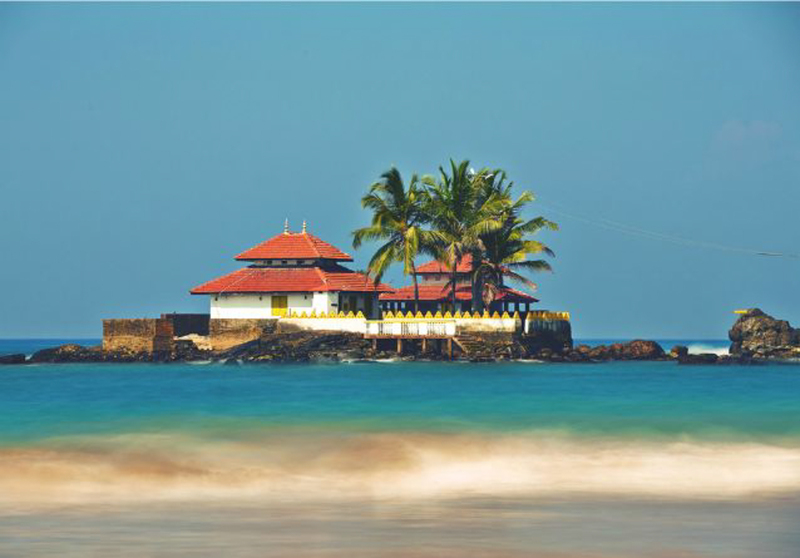 Hikkaduwa is a Southern coastal town that everyone dreams about spending their vacation at – with good reason too! One of the most popular tourist destinations in Sri Lanka since the 1970s, this town is bustling and full of life. There are plenty of things to do and a lot of places to see so if you are wondering where to start, fear not. Everything from surfing to sightseeing, we’ve got you covered. 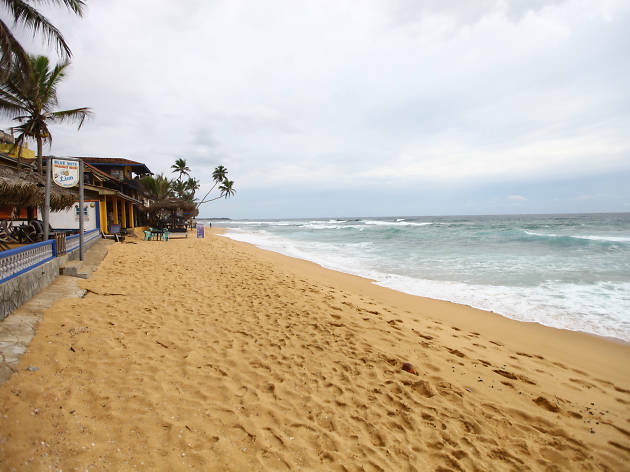 Most famous for its picturesque golden sandy beaches and the cool sapphire blue ocean, this is one of the most visited surfing spots in Sri Lanka. Surf boards are readily available nearby, so you can just grab one and paddle out onto the oncoming waves! Beginners can also sign up for surfing lessons at the many surf schools in Hikka. If you are not too keen on surfing, take a dip and if you are lucky you may bump into one of the friendly neighbourhood turtles! It is said that turtles swim very close to the shore almost everyday and sometimes tourists can be seen wading in to feed them some seaweed! There is also a Turtle Farm and Hatchery which is just 2km away from the town and works to protect turtles. Here, different kinds of turtles can be seen and interacted with, and the progressive development of turtles can be observed, from the first stage where eggs are collected and buried to the hatchlings being fed and released into the sea after they are old enough to survive. Hikkaduwa is also home to majestic coral reefs, so it makes an ideal snorkelling destination! Moreover, the Hikkaduwa National Park, one of the two marine national parks in Sri Lanka contains a fringing coral reef with a depth of around five metres. The marine park is found along the northern end of the beach and is an ideal way to witness Sri Lanka’s underwater beauty! You can rent snorkelling gear from shops nearby or you can opt for a ride in glass bottom boats if you wish to stay dry while you get a glimpse of the coral reefs! The reefs in Hikkaduwa are very diverse, colourful and very alluring so you will not be disappointed. 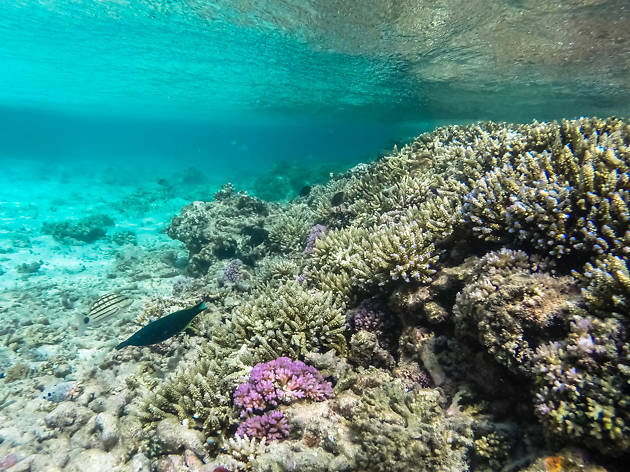 Around 60-70 species of coral have been recorded here including types of Montipora and Acropora corals, along with close to 200 species of reef fish. The ideal time to visit the coral reefs is from November to April, as the calm seems provide good visibility, so go and pack your bags now! 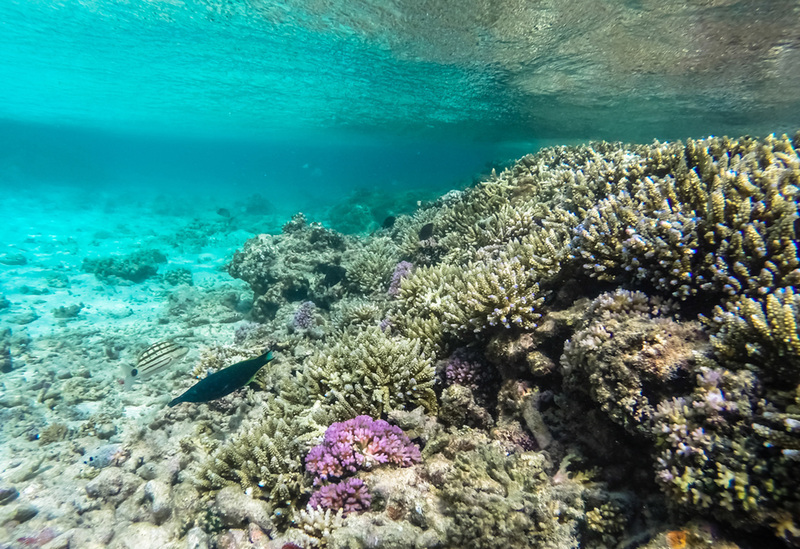 If you are left wanting to see more after snorkeling, you can always head over to one of the many diving centres and gear up for an adventure in the sea! Popular dive sites such as Kiralagala, Godagala and Black Coral Point provide you with endless opportunities for underwater exploration and photography as well. You can also find watersports centres here–so let the fun begin! 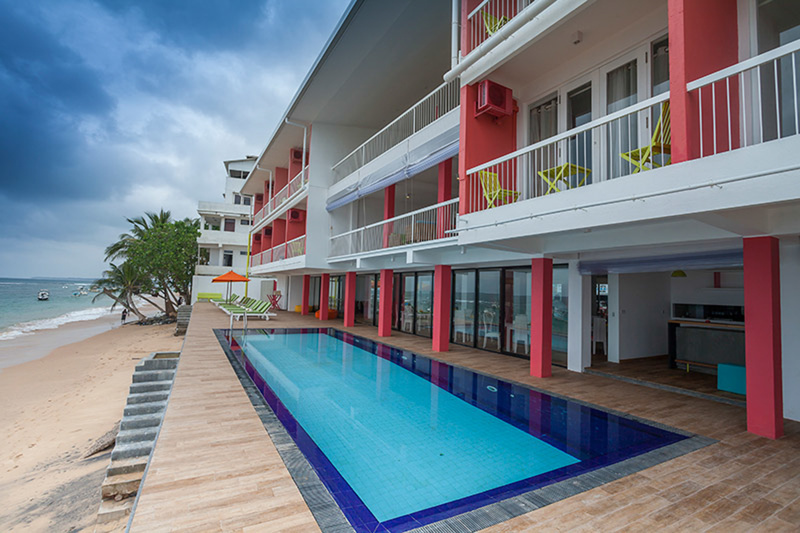 Accommodation isn't a problem in Hikkaduwa. Hotels, inns, guesthouses and bungalows are lined up in abundance so you can choose where to stay according to your budget and preferences. 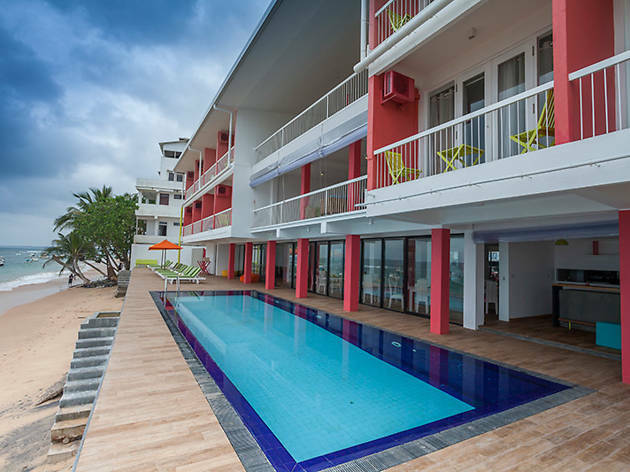 Where ever you stay, however, you are sure to have a great vacation as the hosts in Hikkaduwa are famed for their amicable nature and hospitality. If you have any requests or concerns, do not hesitate to talk to the management or owners of your vacation abode! This charming little town is also a lively party destination. A frequent host to many beach parties, raves and sometimes even concerts, it is never uneventful here. Festivities and events are also held for holidays and celebrations such as Christmas, New years Eve, Valentines Day and of course, everyone’s favourite Oktoberfest! Even apart from swimming and partying, there are plenty of other fun activities and things to do around here! 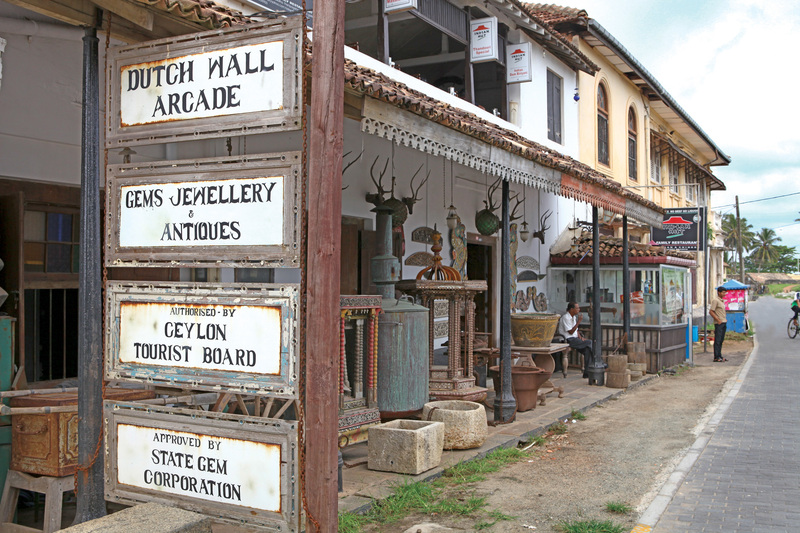 Hikkaduwa town is a very happening and exciting place to explore, especially during the evenings and at night. The town lights up with bright and inviting cafés, restaurants and souvenir shops. The coastal region is known for their great food, so be sure to sample as much local treats as you can. The seafood dishes especially, are an absolute delight to try as the seafood is caught fresh and made to perfection. 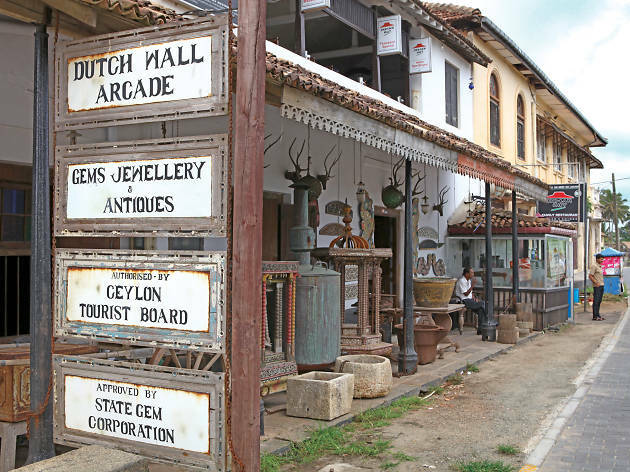 Further, you can avail yourself to an array of endless Sri Lankan handicrafts, artefacts and collectibles as well as beachwear and even go gift shopping for your loved ones at the many souvenir and jewellery shops. What’s more, there are farms, herbal gardens, boat rides and gem mines to be visited as well a Sri Lankan traditional masks museum and the famous Cinnamon island. The good news is that Hikkaduwa has many shops and centres that offer a variety of signature Sri Lankan ayurvedic and herbal treatments and calming massages to relax and indulge in after a long day of activities and sightseeing! You can also book a day tour to see the interesting places in and around Hikkaduwa. There are many tour guides and offices in town and they are more than happy to meet your requirements and take you on your ideal dream tour! 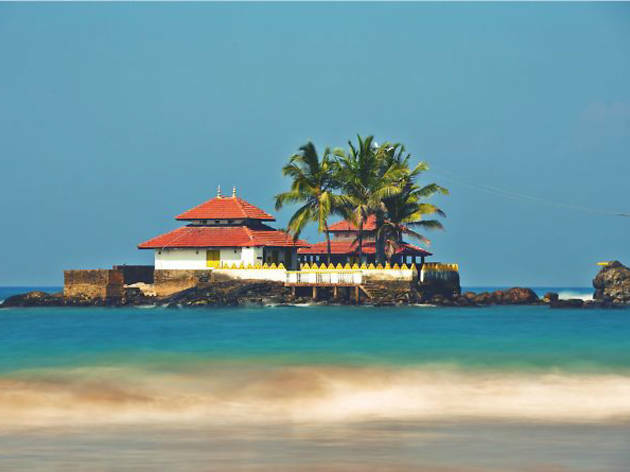 Attractions around Hikkaduwa include a temple, Seenigama Vihara Temple which is just a few kilometres outside of Hikkaduwa and is quite unique as it is located on its own small island just a few metres off the coastline and has miraculously survived the devastating Tsunami in 2004. Speaking of which, you can also visit the 2004 Tsunami memorial statue and museum and pay your respects to the lives lost and the chaos that hit the country. Most visitors describe the experience as very beautiful and moving. So head down to Hikkaduwa and see what the fuss is about yourself. A fun and buzzing town with a lot of rich culture, music, activities, delicious seafood, friendly locals and interesting things to discover, this is definitely a town you need to visit!